Just Jingle: You Brighten My Day! Happy Wednesday, friends! This week is everyone's favorite over at the Simon Says Stamp Wednesday Challenge blog! It's ANYTHING GOES week!!! YAY!!! Let your creative wings take flight and create anything you'd like! The design team is using American Crafts products this week and we are LOVING THEM! Seriously, we won't even discuss how long it took for me to decide between Polka Dot Party and Plus One. I realized I used one last week, so ended up going with the other for this week. HA! If you have some American Crafts goodies on hand, we would LOVE to see you rock them, but they aren't required for the challenge! I also pulled out a bit of Paper Smooches cuteness for this one! The stamps just seemed to go so well with these papers and I just HAD to make it happen! I mixed and matched a bit for a unique design. I think it turned out pretty adorable, if I do say so myself! LOL! Oh. And Glitter. Because, well, glitter. Now it's YOUR turn! You can link up to FIVE projects to the challenge. They need to be new, but other than that, ANYTHING GOES! Have fun with it! Play with your STUFF! One lucky participant will win a $50 Voucher to the Simon Says Stamp store! Woot! Woot!!! Also, if you LOVE Simon and LOVE these challenges, there is an opportunity for YOU to be on the Design Team! You can check out the Design Team call HERE!!! Good luck! You can find the links to all of the goodies I used below! So cute, Jennifer! I love your paper pieced scene! Seems that many of us were inspired by these papers! Love what you did this week, Jennifer! Jennifer this is so adorable, really fun scene. love it! the papers and stamps....awesome! So cute! I love the paper choices and piecing and love the bit of sparkle too. Super sweet card Jennifer!! Great papers! 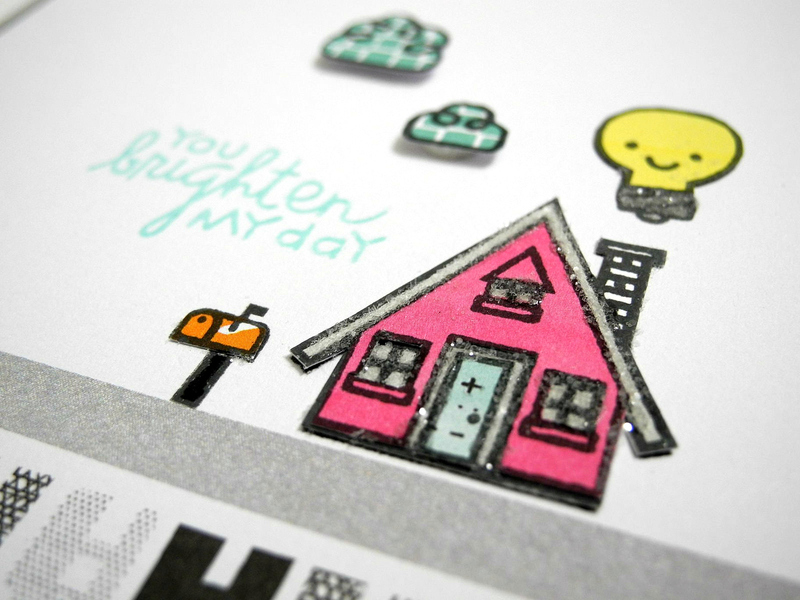 how totally cute.. i love that little house..
Oh plus one....LOVE that paper pack!! And love how you paired it with PS!! Bitty bungalows has been on my wish list for months! And yes!! Glitter because...well glitter! 'Nuf said! What a sweet and fun card! Love the pink house! hi Jingle! cuuuute...I am sooooo luvin the light bulb...very sweet girl. hope you have a fabby week! another super cute fab card! love both stamp sets too! 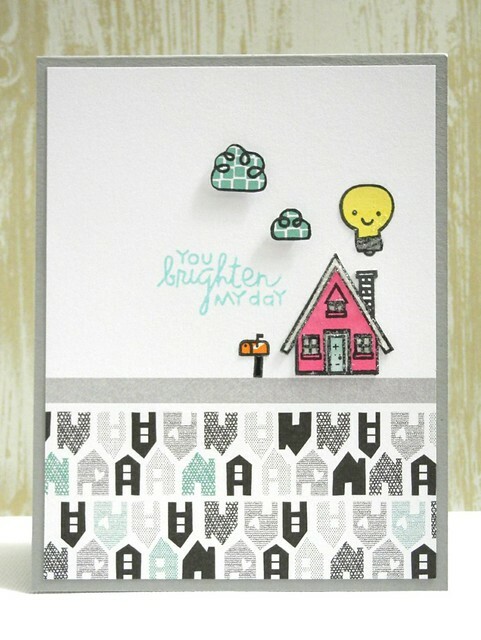 Hi Jennifer - I love your design and fabulous papers - your images are adorable especially the cute light bulb!! Hot Dogs! Hot Dogs! Get Yer Hot Dogs Heya! Live, Laugh, Love, and Rock On!